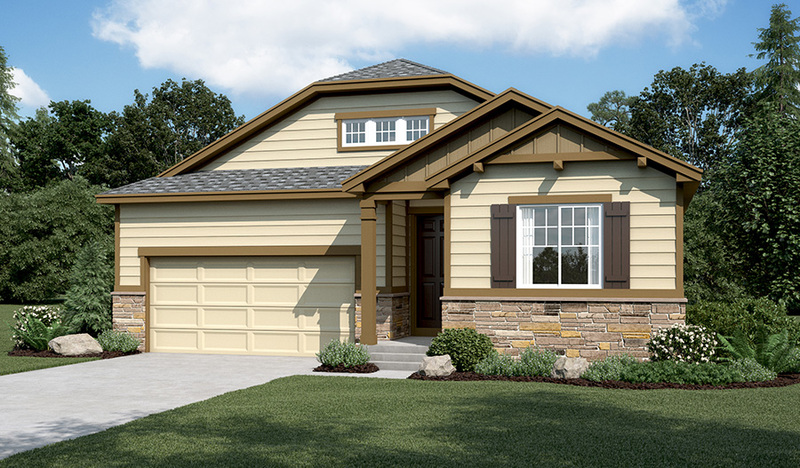 Off the entry of this new model home are two welcoming bedrooms with a shared full bath. Toward the back, you'll find a spacious great room that opens to the extended covered patio, a large dining area and a gourmet kitchen with double ovens and a central island. The luxurious master suite is separated from the other bedrooms for privacy and includes a walk-in closet and a deluxe bath with double sinks and a separate tub and walk-in shower. The finished basement features two additional bedrooms, each with walk-in closets, a full bath and an expansive rec room with a wet bar.